Genetically Modified Foods: Whose say is it? 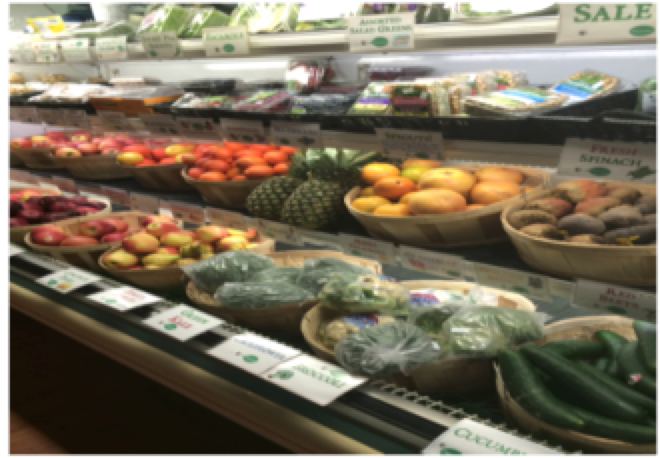 A variety of organic, non-GMO fruit and vegetables for sale at Barry Kaplan’s Everything Natural, a Scranton food store dedicated to providing the healthiest food available to them. SCRANTON, Pa.- The ongoing debate over whether genetically modified organisms (GMOs) are safe for human consumption is growing. From scientists to educated nutrition specialists, opinions and methodical observations have varied regarding foods that are genetically modified. In the United States, however, the debate stems from the federal legislation and regulation of GMOs. Some are concerned GMOs are treated as regular foods. According to the Law Library of Congress (LAW), theres no federal legislation that is specific to genetically modified organisms. According to the U.S. Department of Health & Human Services, the Food and Drug Administration (FDA) places responsibility on the producer or manufacturer to assure the safety of the food. Public outcry has grown louder in favor of regulating the process by which products are produced. The risk assessment and decision-making concerning the technologies involved in making GMOs has neglected the public’s opinion regarding the foods they eat on a daily basis. A study from the Journal of Agricultural and Environmental Ethics suggests that non-scientists who have unique knowledge about GMOs based on their daily acquaintance with them should have a say in the risk regulation process. Barry Kaplan, owner of Everything Natural in Clarks Summit, Pennsylvania, is a great example of a layperson. Kaplan, who has voiced his opinion professionally as a natural food storeowner, believes large food corporations are ignoring studies that show serious risks of GMOs. Some, like Kaplan, believe the public and additional scientific findings need to be considered in the regulatory process of GMOs. Others, like University Professor Jessica Bachman Ph.D, trust the FDA’s regulations. Dr. Bachman, a registered dietitian and nutritionist, believes the FDA’s policies are efficient in assuring the safety of GMOs. The debate concerning GMOs exists because of inconsistent opinions, studies and scientific beliefs. Some scientists, such as Bill Nye and Dr. Thierry Vrain, have shifted their respective beliefs regarding GMOs in the past. the claim that GMOs are safe. After observing scientific journals from other countries, he believes that studies show allergens and toxins in GMOs. Nye, popularly known as “the science guy,” changed his mind as well. Originally critical of the certainty of GMO safety, Nye now believes the science suggesting the safety of GMOs is efficient enough to assure food safety.